The Posterity Project: "The great chain of friendship..."
"The great chain of friendship..."
On the second of June 1769, a company of about twenty men from North Carolina and Virginia gathered at Powell’s Valley—a majestic oasis nestled within the mountains of southwest Virginia—to hunt and explore the vast wilderness of the trans-Appalachian frontier. But these men were not nature seekers. They sought to make a living from their hunts, trading pelts for profit. As they embarked on their journey, this eclectic assemblage of hunters, surveyors, and explorers—known collectively as “long hunters” for the long months they spent apart from civilization—gazed in awestruck silence at the beauty of this country. "Cumberland Gap." Engraving by S. V. Hunt from a painting by Harry Fenn. Illus. in: Picturesque America by William Cullen Bryant. N.Y.: D. Appleton & Co., 1872. These awe-inspired descriptions, repeated in reminisces by these explorers and their descendants and published in early historical narratives, ignored an important actor on the stage of this amphitheater of isolation and beauty. An indigenous population stood watch on the other side of that valley and their view starkly contrasted with those of the white explorers and settlers. While this territory, rich in wild game and fertile soil, was new to the white man, the Native Americans who hunted the region knew it all too well. The Delaware Indians called this land Kentucke, meaning “Place of the Meadows” in their native tongue. The Mohawk word, Kentucke, carried similar meaning, “Among the Meadows.” The Wyandots and Shawnee who frequently came south of the Ohio River to hunt or to travel the Warriors Path shared similar descriptions of this “Land of Tomorrow” and named this country Kah-ten-tah-the, or Kain-tuck-ee. The land south of this meadow oasis held its own fascination to both the white man and to the Indian. Spanish explorers were among the first to record the name of a Cherokee village called Tanasqui. Subsequent maps, letters, and journals referred to “the land of the Tannassy” with various spellings. The Cherokee town of Tanasi inspired other white settlers to claim the name “Tennessee” as their own. Other indigenous tribes laid claim to this hunting ground, including the Chickasaw, Creek, Shawnee, and Yuchi. Native Americans did not watch this drama as mere spectators. In fact, many tribes began trade with the white explorers, acquiring guns and supplies in exchange for access to the land. And while they tolerated the white man’s intrusions into their native hunting grounds, over time they grew increasingly concerned by the unrestrained killing and wholesale slaughter of buffalo and deer. They looked on with anger and despair as the long hunters killed wild game indiscriminately. As game grew scarce in the winter months, the long hunters traveled further west and southwest. They continued their unrestrained killing and wholesale slaughter of buffalo and deer. According to one writer, “A steady stream of long hunters crossed the mountains. Land hungry backwoodsmen saw visions of new homes, free from the restrictions of older settlements. 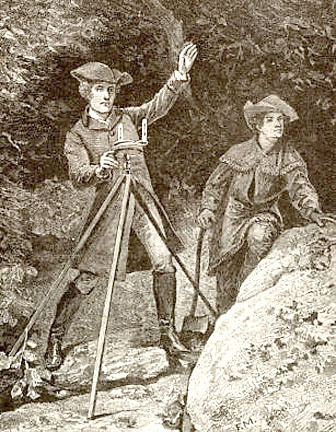 Speculators, in imagination, counted fabulous profits.” These land speculators followed the long hunters into the territory, employing many of these skilled frontiersmen as guides and surveyors, carving imaginary boundary lines across vast swaths of territory. Meanwhile, Kaiyah-tahee, the regional chief of the Overhill Cherokee—known to the white settlers as Old Tassel—struggled to find a peaceful coexistence with the settlers and sought a different path toward resistance. Old Tassel witnessed with dismay the loss of land and lives suffered at the hands of the white man. He recalled how the long hunters had laid waste to the land and its wild game. He had befriended them, shared his people’s resources in good faith, and yet he felt the white man had betrayed a promise of peaceful coexistence. "We wish, however, to be at peace with you, and to do as we would be done by. We do not quarrel with you for the killing of an occasional buffalo or deer on our lands, but your people go much farther. They hunt to gain a livelihood. They kill all our game; but it is very criminal in our young men if they chance to kill a cow or hog for their sustenance when they happen to be in your lands." "The Great Spirit has placed us in different situations. He has given you many advantages, but he has not created us to be your slaves. We are a separate people! He has stocked your lands with cows, ours with buffalo; yours with hogs, ours with bears; yours with sheep, ours with deer. He has given you the advantage that your animals are tame, while ours are wild and demand not only a larger space for range, but art to hunt and kill them. They are, nevertheless, as much our property as other animals are yours, and ought not to be taken from us without our consent, or for something of equal value." "Now brothers we beg of you to listen well to what we are going to say. You told us the other day that our living was at our doors, but you had far to go and slave hard to support your people. We would recommend it to you to live as we do and only hunt for meat and skins to make you moccasins, raise corn and cattle horses and hogs and sell them to clothe your wives and children which you will find much surer and easier than your present manner of life." The Virginians blamed the Chickamauga separatists—a group of Cherokee warriors who had refused to negotiate with the white settlers for their land—for the lack of supplies. “We are sorry to see and hear your people are so naked,” they said, promising Old Tassel that the long awaited supplies were on their way to them. “We are sorry the goods are not here to give you some clothes to return to your towns,” they insisted, “but the fault is in your enemies.” The Chickamauga and Chickasaws had refused to allow them passage. They also claimed that they never had any intention of taking the Cherokee’s land, and promised that they would “hold fast the chain of friendship and never let it slip out of their hands.” Once peace was secured, they promised, “then we shall be able to give you a plentiful trade.” As a token of their benevolence and good will, the surveyors offered Old Tassel a string of wampum in hopes that he would accept it without further conflict. 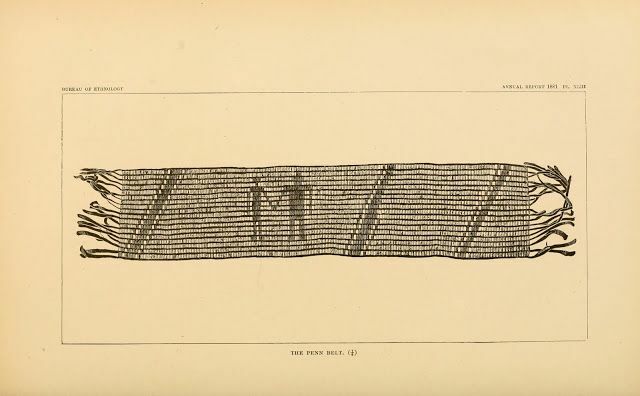 Wampum belts were used for a variety of purposes. They represented family or clan history or an authority to enter into war, and were used as promissory notes, forms of correspondence, and as a peace offering in diplomatic negotiations. "At Chota, [Major] Hubbard requested Chief Old Tassel to accompany him to Chilhowie for a talk; the unsuspecting chief readily complied. Chilhowie was situated on the north side of Little Tennessee River, and when he had arrived opposite the town, Hubbard raised a flag of truce. After they had been ferried across, they gathered at Abram’s house for a ‘talk.’ As soon as all the prominent Indians present were inside, Hubbard closed the door and posted guards at the windows. Giving John Kirk, Junior, a tomahawk, he said, ‘Take vengeance to which you are entitled.’ Kirk needed no second command." "Realizing the fate that was in store for himself and his companions, Old Tassel met it with fortitude. He bowed his head and received the death blow. The others, taking their cue from him, offered no resistance and were slaughtered, one at a time, unarmed, peaceful, and under a flag of truce. No more shameful deed is recorded in American history." There, at Chota, "the great chain of friendship" broke, its links scattered upon the amphitheater. John P. Brown. Old Frontiers: The story of the Cherokee Indians from earliest times to the date of their removal to the West, 1838. Kingsport, Tenn: Southern Publishers, Inc., 1938. Walter T. Durham, The Great Leap Westward: A History of Sumner County, Tennessee from Its Beginnings to 1805. Sumner County Public Library Board; First Edition edition, 1969. John Haywood. The Civil and Political History of the State of Tennessee from its earliest settlement up to the year 1796, including the boundaries of the state. Nashville, Printed by G. Wilson, 1823. J. G. M. Ramsey. The Annals of Tennessee: To the end of the eighteenth century. Philadelphia, PA: Lippincott, 1860. Colonial and State Records of North Carolina. Raleigh, N.C.: P. M. Hale, Printer to the State, 1886. Documenting the American South. University Library, The University of North Carolina at Chapel Hill, 2007. Gordon Belt is a public historian and author of The History Press book, John Sevier: Tennessee's First Hero, which examines the life of Tennessee's first governor, John Sevier, through the lens of history and memory. On The Posterity Project, Gordon offers reflections on archives, public history, and memory from his home state of Tennessee. Copyright © The Posterity Project & Gordon T. Belt. All rights reserved. Simple theme. Powered by Blogger.